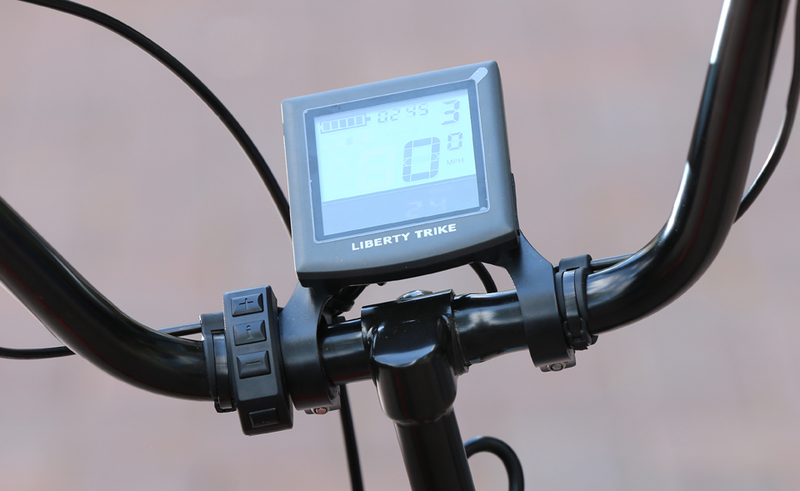 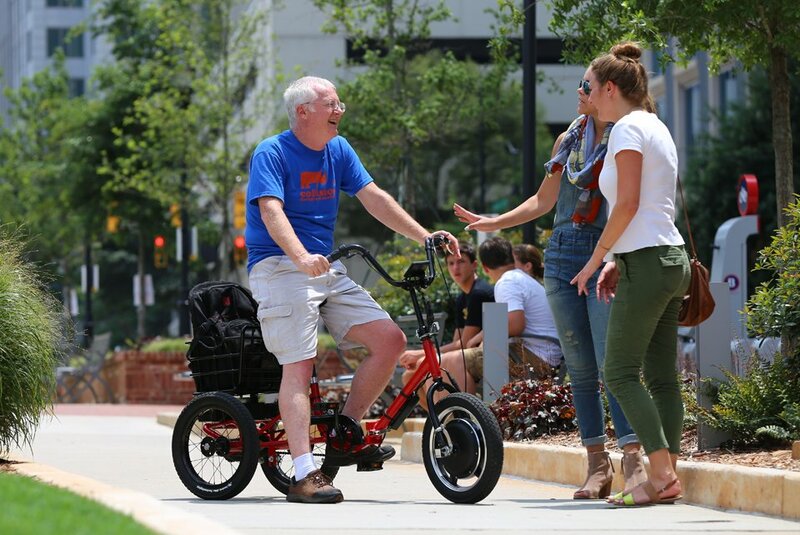 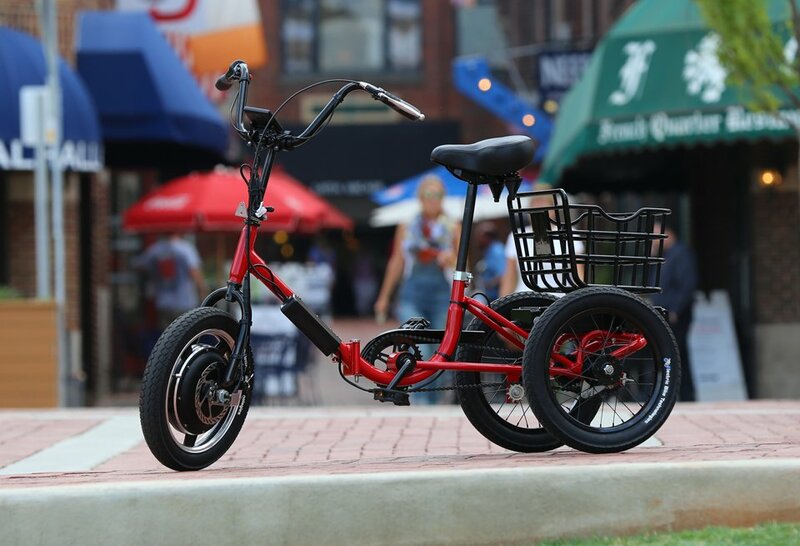 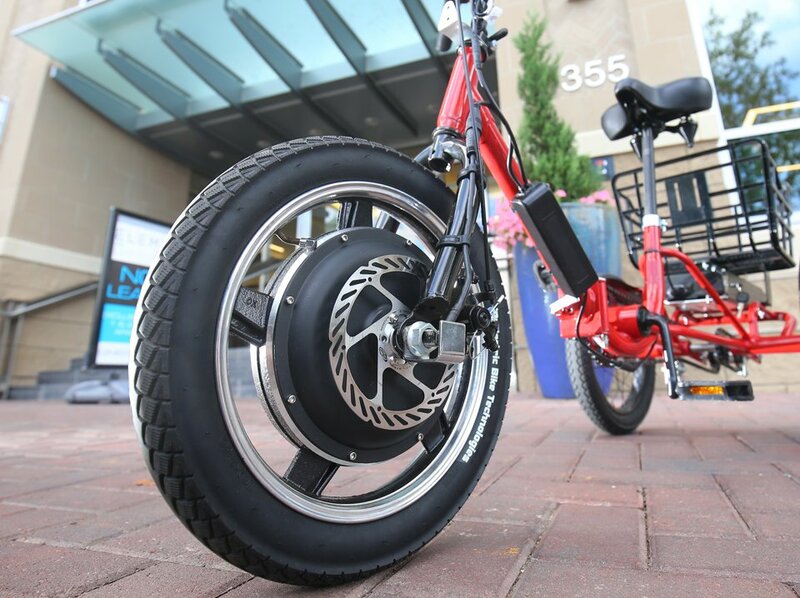 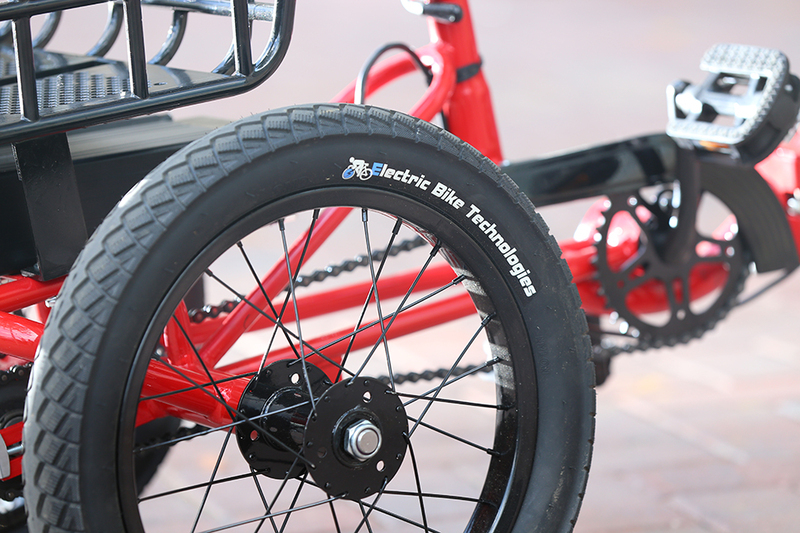 The Liberty Trike has a 750W electric motor that lets you go up to 7.5mph, or you can also use just the pedals, or both. 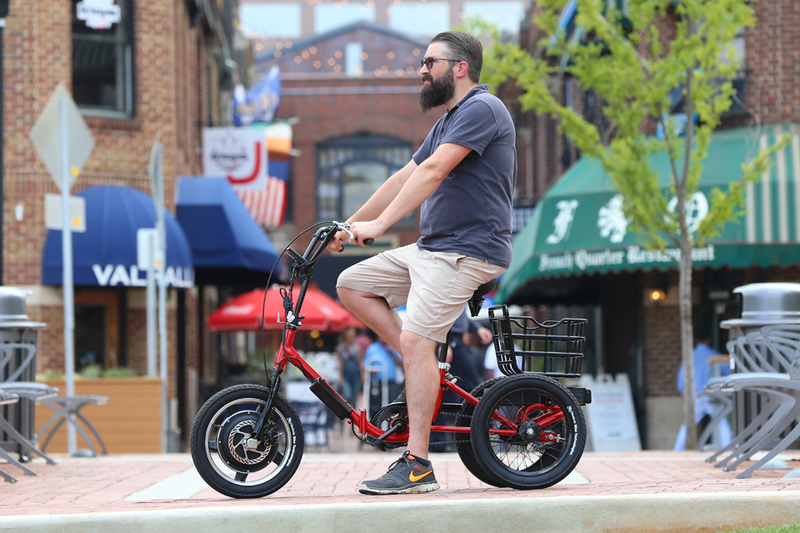 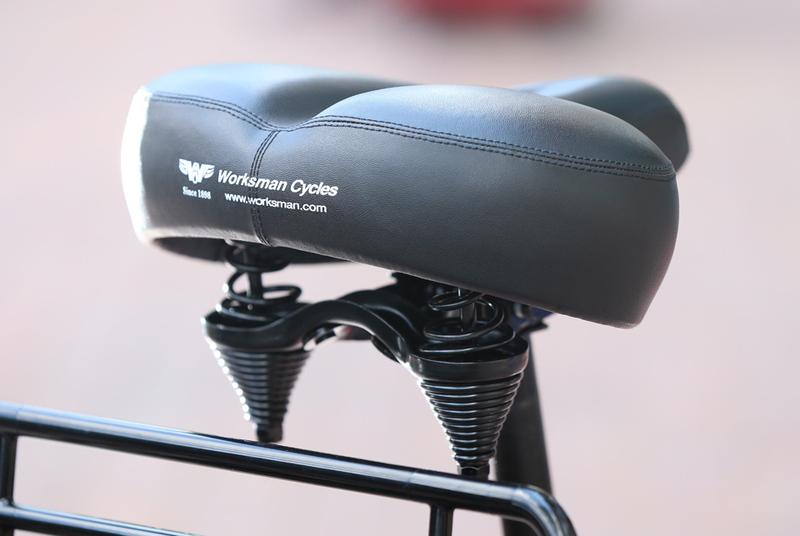 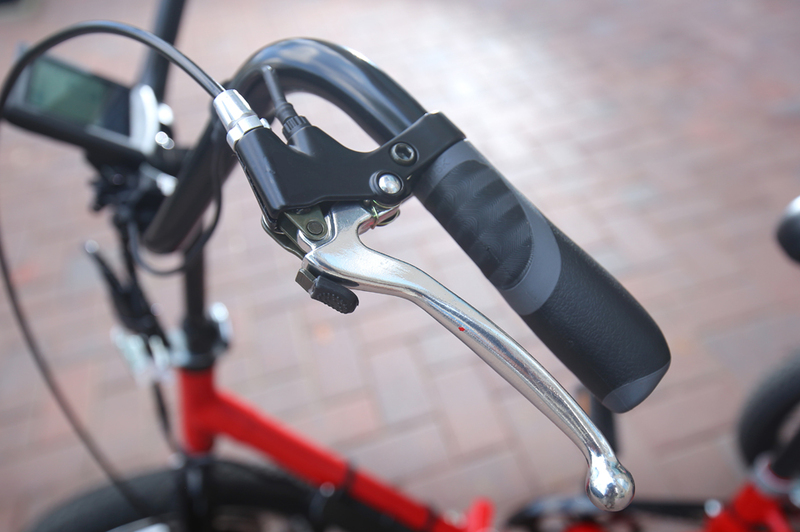 Its removable battery lasts up to 24mph per charge. 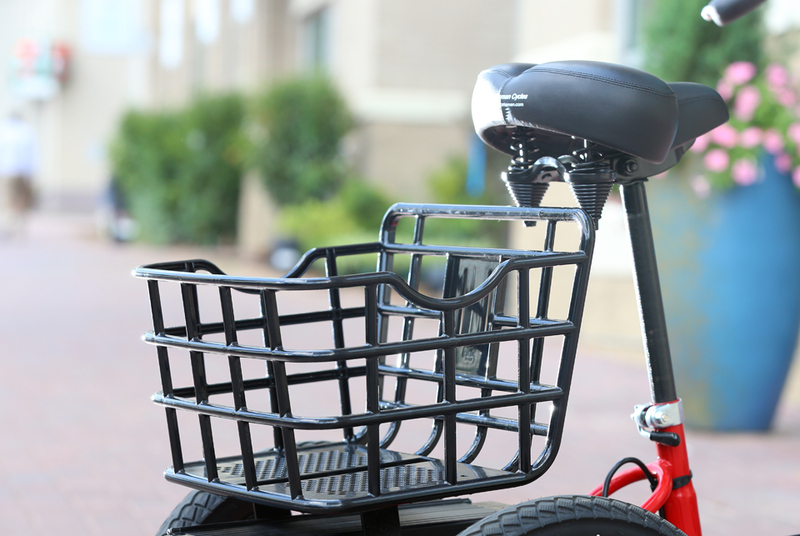 The frame can be folded and even split in two for storage or transport. 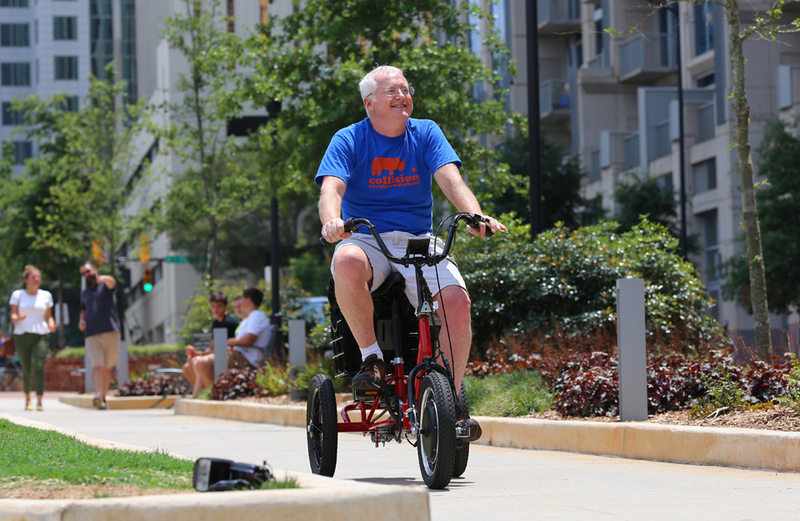 And no, it’s not just for old folks.